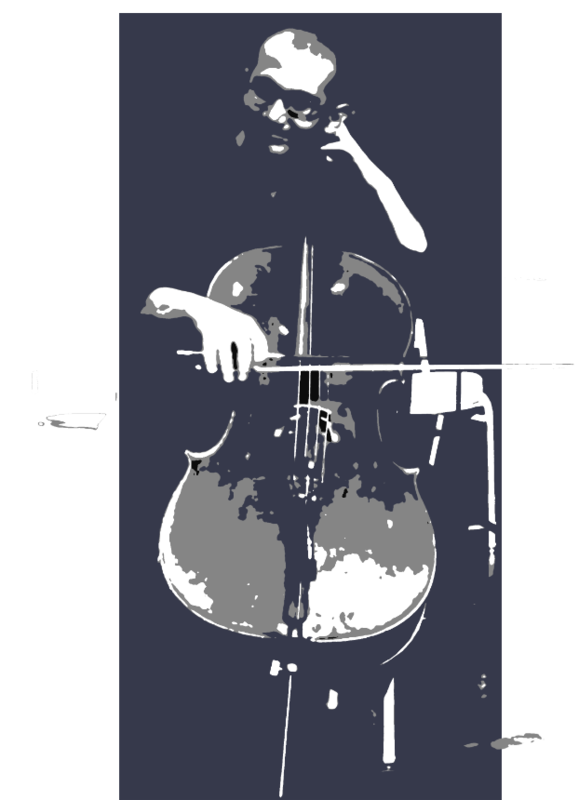 "a brilliant and dramatic work with a Middle Eastern flavor"
"... you feel completely propelled by the power of the piece"
Kinan Abou-afach is a cellist, oud player, composer, and recipient of the prestigious Pew Fellowship in 2013. The Syrian-born musician began his musical studies at the age of seven studying at the Arabic Institute of Music in Damascus, where he eventually joined the National Syrian Symphony Orchestra and performed with the Middle Eastern Ensemble. “On December 7th, 8th and 9th, we will be presenting our fifth theatrical production at the Vittum Theater in Chicago. Inspired by current events, the show features Assid and Warda, father and daughter Syrian refugees who dream of escape to a Spain where their ancestors once built a different kind of civilization: one grounded in peace, tolerance and the joys of artistic expression. But when a desperate rescue at sea leaves them separated, it seems their refugee journey is destined to end in tragedy. Can their faith in the possibilities of a better life sustain them through this final, agonizing trial? AANM and Detroit Chamber Winds & Strings join forces for an evening of contemporary chamber music by Arab American composers, including Mohammed Fairouz, Kareem Roustom, Michael Ibrahim, Suad Bushnaq, Kinan Abou-afach and Hadi Eldebek. © 2019 Kinan Abou-afach. All rights reserved.